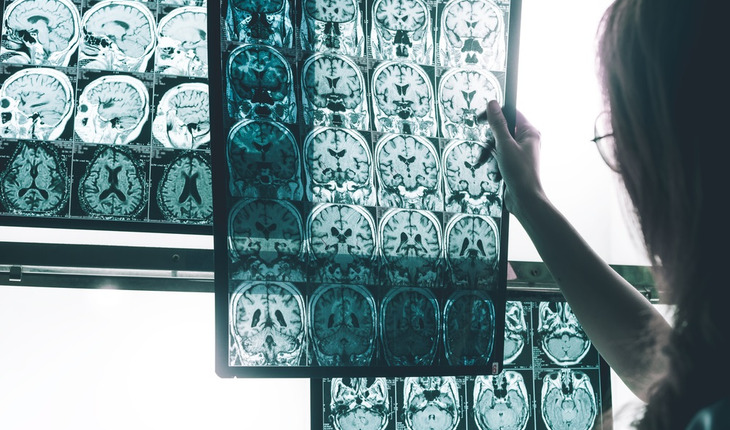 To diagnose dementia, doctors first assess whether a person has an underlying treatable condition such as depression, abnormal thyroid function, normal pressure hydrocephalus, or vitamin B12 deficiency. Early diagnosis is important, as some causes for symptoms can be treated. In many cases, the specific type of dementia a person has may not be confirmed until after the person has died and the brain is examined. Patient history. Typical questions about a person’s medical and family history might include asking about whether dementia runs in the family, how and when symptoms began, changes in behavior and personality, and if the person is taking certain medications that might cause or worsen symptoms. Physical exam. Measuring blood pressure and other vital signs may help physicians detect conditions that might cause or occur with dementia. Such conditions may be treatable. Neurological tests. Assessing balance, sensory function, reflexes, vision, eye movements, and other functions helps identify conditions that may affect the diagnosis or are treatable with drugs. Cognitive and neuropsychological tests. These tests measure memory, problem solving, attention, counting, language skills, and other abilities related to mental functioning. Laboratory tests. Blood and urine tests can help rule out possible causes of symptoms. Genetic tests. Some dementias are caused by a known gene defect. In these cases, a genetic test can help people know if they are at risk for dementia. People should talk with family members, a primary care doctor, and a genetic counselor before getting tested. Visiting a family doctor is often the first step for people who are experiencing changes in thinking, movement, or behavior. However, neurologists—doctors who specialize in disorders of the brain and nervous system—generally have the expertise needed to diagnose dementia. Geriatric psychiatrists, neuropsychologists, and geriatricians may also be skilled in diagnosing the condition.